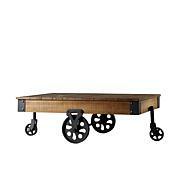 The Roadshow tables can fit into any industrial or coastal theme with their raw wood and rope features. Set of Two. 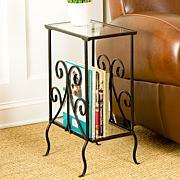 Large table measures 17"w x 17"d x 24"h. Small table measures 14"w x 14"d x 22"h. Both come fully assembled. 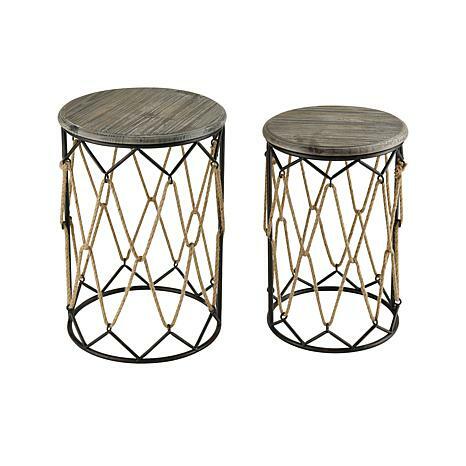 Is crafted from sand blasted hazelnut tone wood, metal with rust finish and natural rope. Is for indoor use only. Wipe with damp cloth. One year limited manufacturer warranty. Made in China.